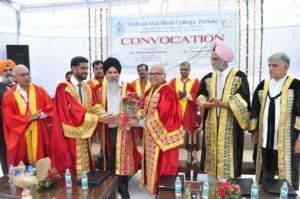 Multani Mal Modi College, Patiala organised Convocation-2017 today. 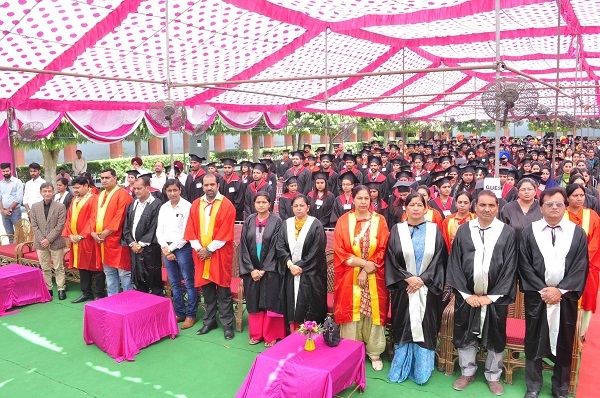 Dr. Tankeshwar Kumar, Vice Chancellor, Guru Jambheshwar University of Science and Technology, Hisar delivered the convocation address and conferred the degrees to Graduates and Post-graduates. 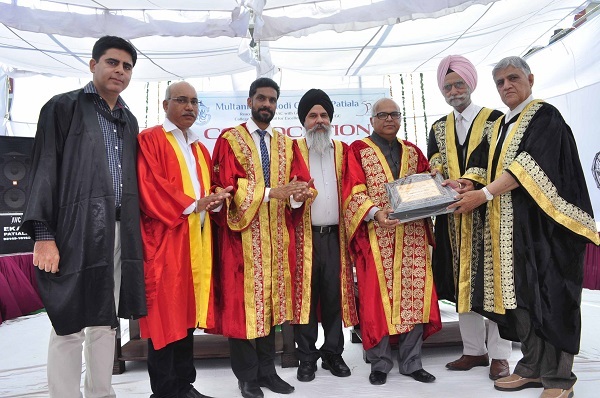 Dr. Gurnam Singh, Dean Academics, Punjabi University, Patiala was the Guest of Honour. Dr. Tankeshwar urged the students to be active participant in the dream projects of Skill India, Make in India and Digital India so that we can turn our country into truly a ‘Swaraj with Sushaasan’ country. 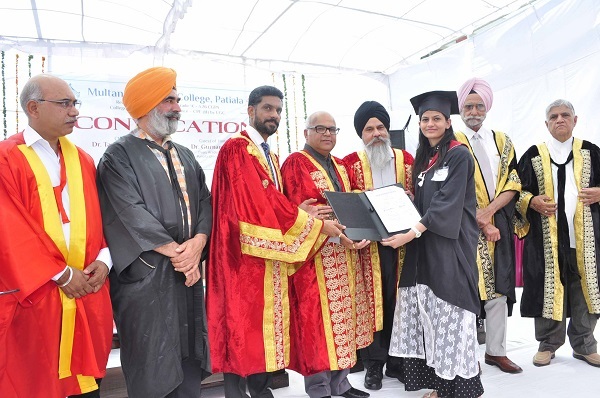 Dr. Gurnam Singh said that Punjabi University, Patiala is always proud of the achievements of this college. He asked the students to identify the social needs where they can play important role. Dr. Khushvinder Kumar, Principal of the College welcomed the Chief Guest and Guest of Honour. He congratulated the graduates and told that the ultimate goal of education is the attainment of some level of wisdom and our college is proud to be a catalyst in bringing this social change for the last fifty years. 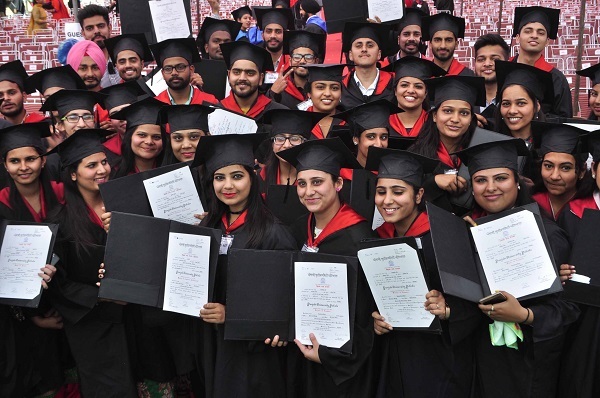 Dr. Ajit Kumar, Registrar of the college, informed that 715 degrees were conferred in the faculties of Arts, Commerce, Science, Management and Computer Sciences. Deans of the faculties Prof. Nirmal Singh (Commerce), Prof. (Mrs.) Poonam Malhotra (Arts), Dr. Ashwani Sharma (Life Sciences), Dr. Rajeev Sharma (Physical Sciences), and Dr. Neeraj Goyal (Head, Business Management) and Prof. Vinay Garg (Head, Computer Science) presented the students for the award of degrees. The Chief Guest and Guest of Honour were felicitated by Prof. Surindra Lal and Col. (Retd.) Karminder Singh, honourable members of the Modi Education Society, Paitala and Principal of the college Dr. Khushvinder Kumar. 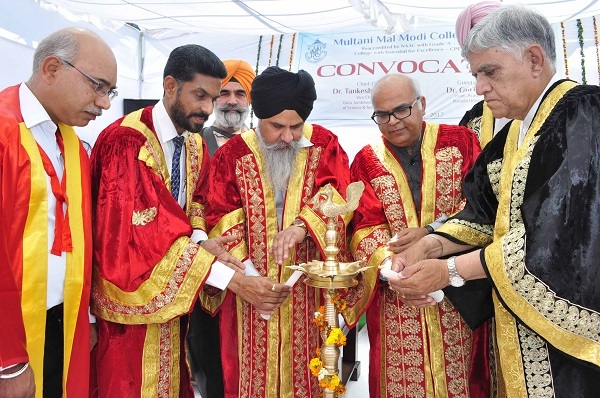 Prof. Baljinder Kaur, Prof. Ganesh Sethi and Prof. Harmohan Sharma conducted the stage. Prof. Nirmal Singh presented the vote of thanks.